stupid cancer has no idea who it is messing with! Less than 24 hours prior to her big trip, Delaney had to go in for her transfusion where they realized she had a fever of almost 101 degrees. As we all know, a little fever isn’t going to stop Delaney from a trip of a lifetime. 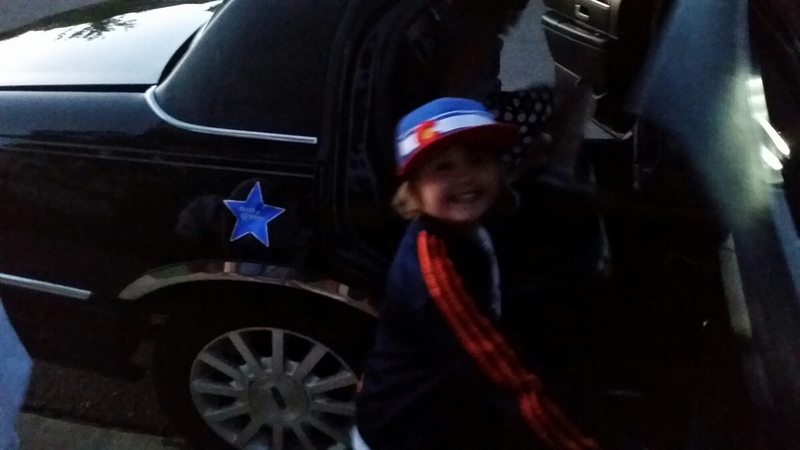 She showed that by jumping up and down at 5 the next morning while yelling, “the lim-bo is here, the lim-bo is here!” Delaney was back to her normal silly self, the limo had arrived to take us to the airport, and we were ready to begin her Make a Wish trip. 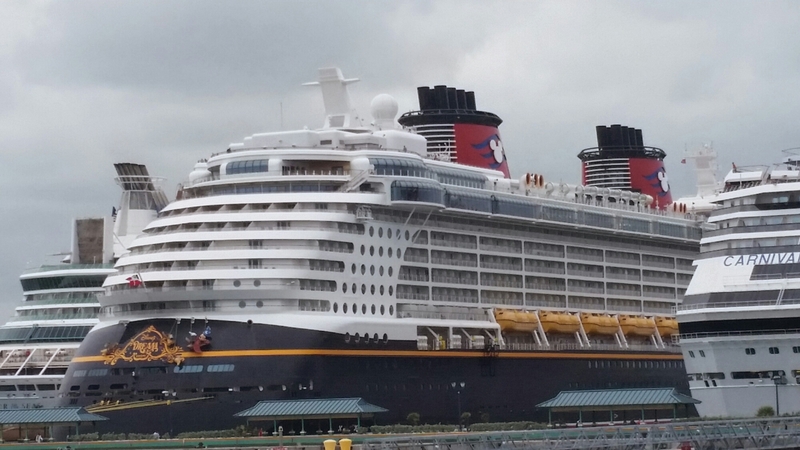 Before making her official wish a Disney Cruise she went back and forth between that and Disney World. My wife and I were concerned about her being physically able to do multiple days of the Disney parks. 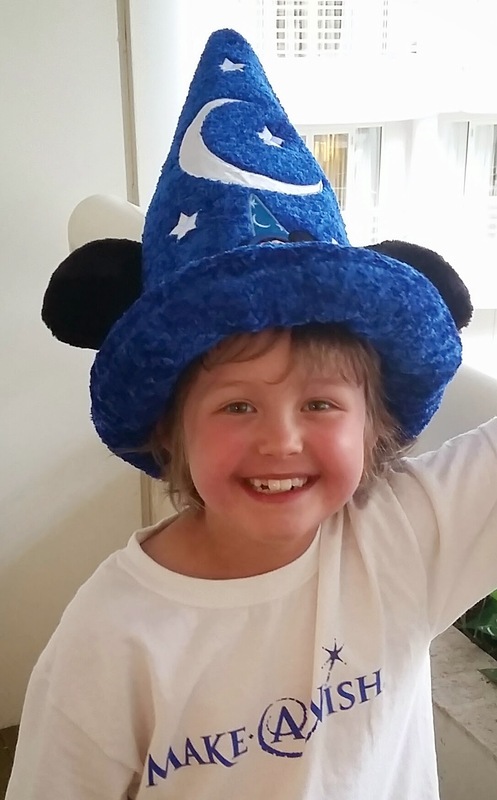 We were glad she ended up choosing the cruise, but wanted her to be able to experience at least a day of Disney World so we got Make A Wish’s permission to take her to Disney World on our own. That was the plan, we just had no idea how awesome the whole trip would turn out to be. The trip started with giggles and they continued throughout. 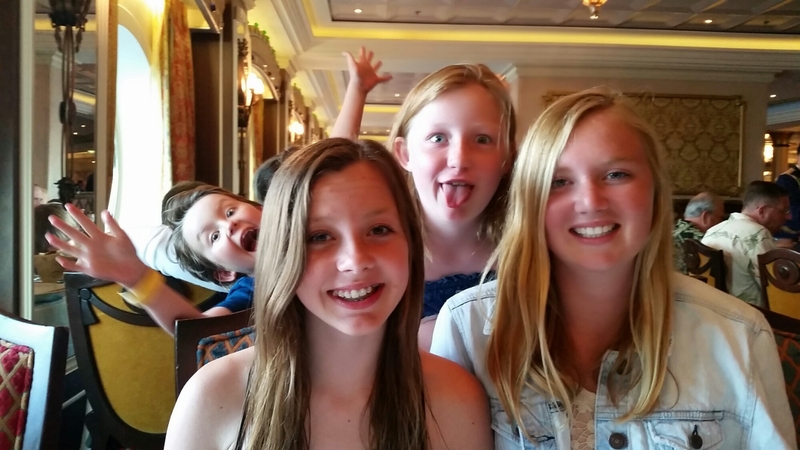 Delaney and her sisters were giggling with the excitement of being in the limo, Delaney was giggling at her photo-bombing skills, and there was a point on the plane where I almost hushed her because she was laughing so loudly. 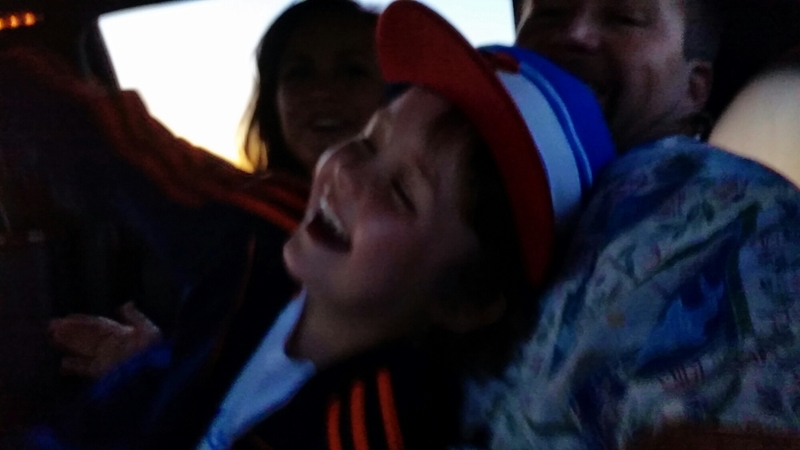 I stopped myself before doing so as I realized that the hearty laughter of this little girl fighting cancer was bringing joy to anyone within ear shot… which was pretty much the entire plane. We arrived in Florida and headed to Disney’s Art of Animation hotel which was perfect for Delaney. 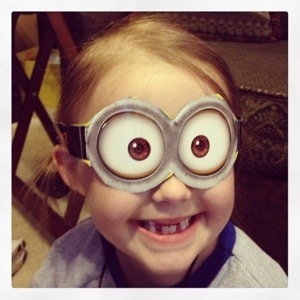 Our little tomboy isn’t into all the Disney princesses, but she loves the movie, “Cars”. She was thrilled to get to sleep in a Tow Mater bed that folded down from the wall and take pictures with the various characters from the movie. We meandered over to Downtown Disney and ate at a restaurant with dinosaurs before exhaustion caught up with Delaney and we needed to get her back to the hotel to spend some time with Tow Mater. My wife had to go over to Guest Relations to convert two of our tickets to Park Hopper passes and got to talking to the very nice folks that worked there. The topic of why we were out there came up, and one of them asked if we had already bought tickets for the next day. We hadn’t because we weren’t sure if she was going to be feeling well enough. He said, “Well, if she is, I hooked you guys up with a discount in case you decide to come back.” Me being my “Ebenezer/ Penny Pinching/ Not Wanting to Mortgage my House” self thought that even with a discount we weren’t going to be able to afford another day but was very grateful for the gesture AND the fact that he gave Delaney a Mickey wizard hat and a picture autographed by all of the Disney princesses. We were amazed at their generosity! Speaking of generosity, the “discount” he hooked us up with was significant enough where even old Ebenezer couldn’t argue with another fun day at the park. Delaney was exhausted to the point of me having to carry her on my shoulders from ride to ride it may have been from just having a blast. And to think, all of this fun was even before her officially began! 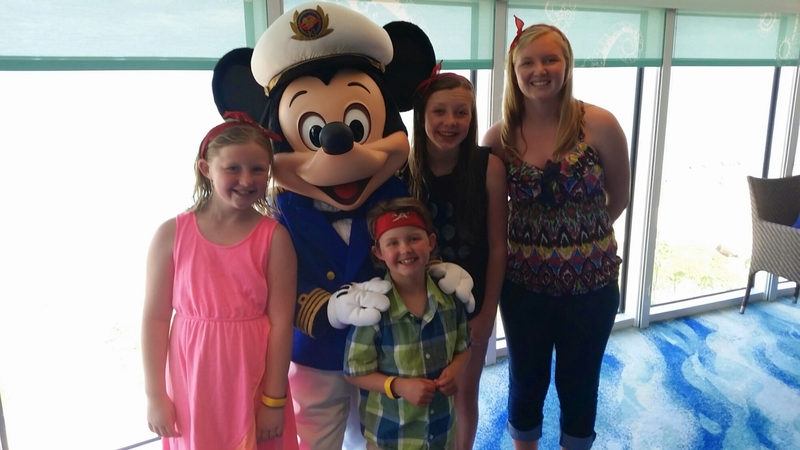 On Sunday we got on the Disney Express bus to take us to our cruise ship, the Disney Dream. As we were approaching we could see the ship in the distance. It was enormous! We were able to get right on the ship and start exploring. 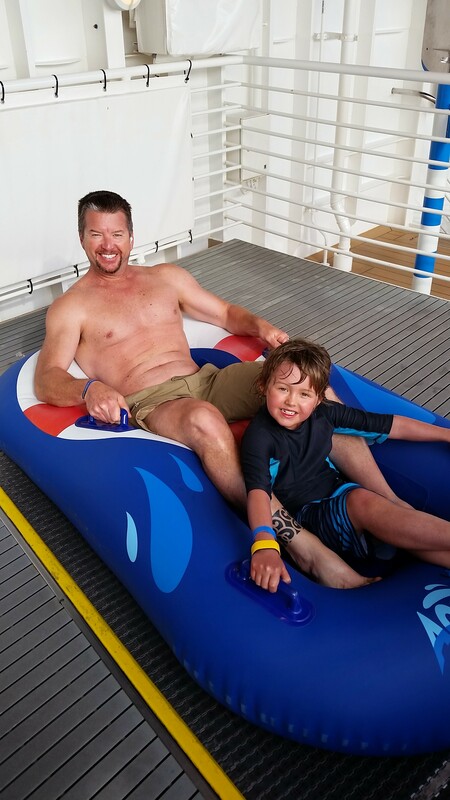 Three pools, a water slide, walk up any time ice cream, every Disney character, and even a detective agency just for kids… does it get any better than that? Delaney wasted no time getting all classy by wearing her new Mickey bow tie to dinner the first night. She was happy to show it off as well as her dance moves as she got up and cut the rug with a waiter at our very first dinner. 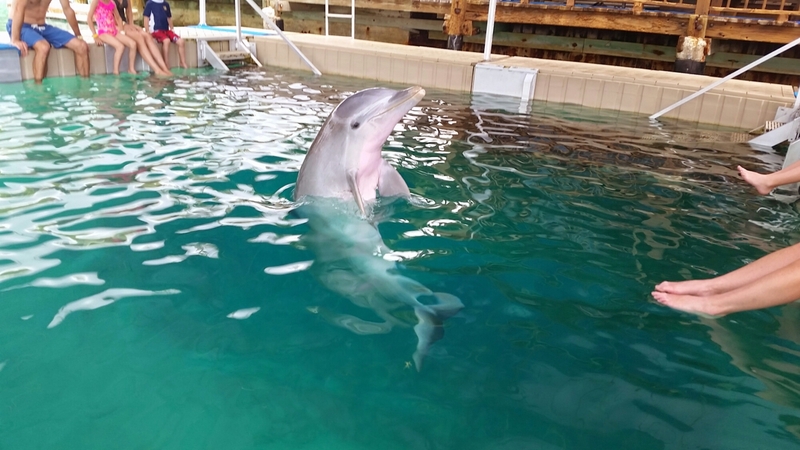 We woke up the next morning in the Bahamas where a dolphin adventure awaited. 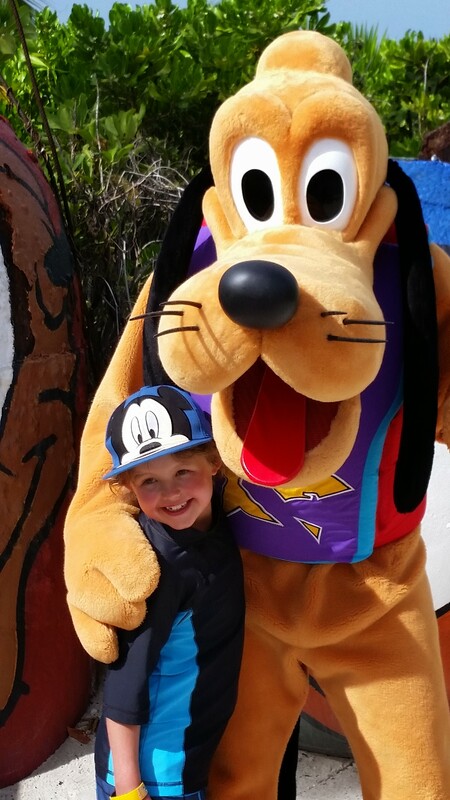 Part of Make a Wish’s goal is to allow the child with the illness to be able to have so much fun that they at least temporarily forget their illness. That was definitely achieved as Delaney and her sisters got in the water with the dolphin, got to dance with it, give it hugs and kisses, and laughing as it kept going back to their Mom for a kiss. That was a day that we’ll never forget. 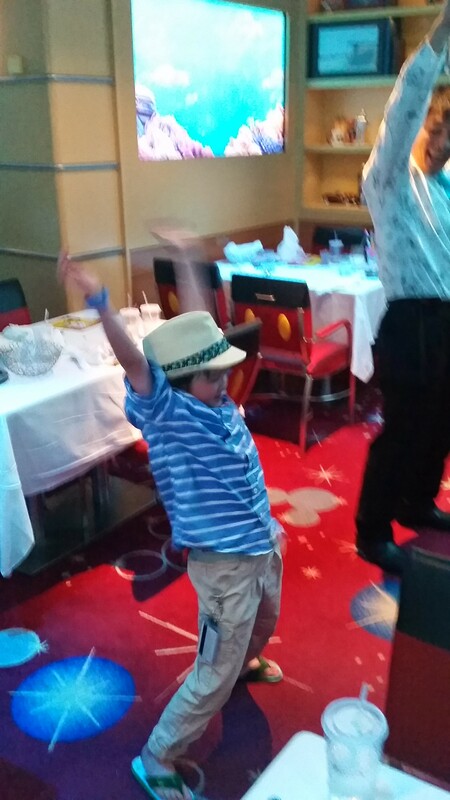 That night Delaney broke out the big guns: Make A Wish included her wish to wear a tuxedo on the cruise and Delaney couldn’t wait to put it on. 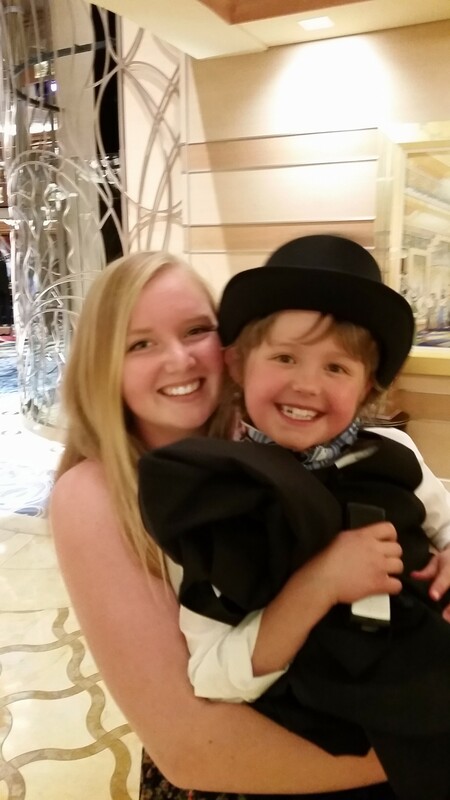 With her brand new tuxedo AND top hat, Delaney was getting compliments of “You’re the best dressed person on the entire ship!” She was loving it! 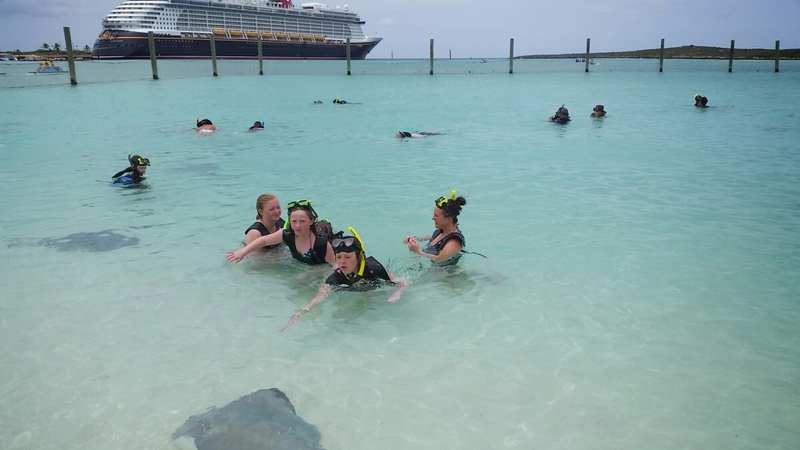 The next day included snorkeling, petting sting rays, a water slide on Disney’s private island, and a private party with Mickey Mouse. 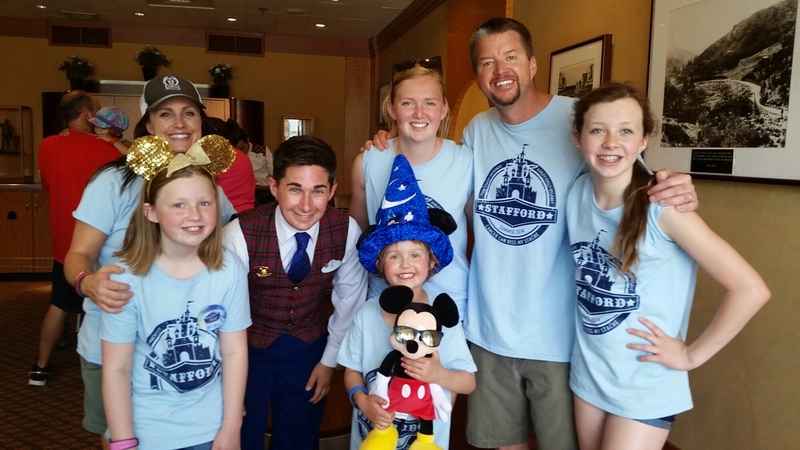 We also met with the Make a Wish representative on the ship who was able to hook up Delaney with her own time to go on the ship’s water slide. I wasn’t sure if Delaney would like seeing the different costumed characters, but she loved it! 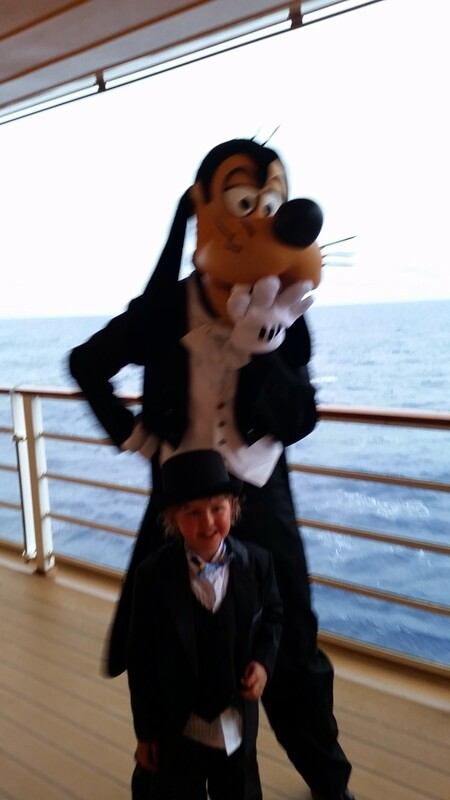 In fact, for her, one of the highlights of the trip was when she saw Donald Duck who was also wearing his tuxedo. 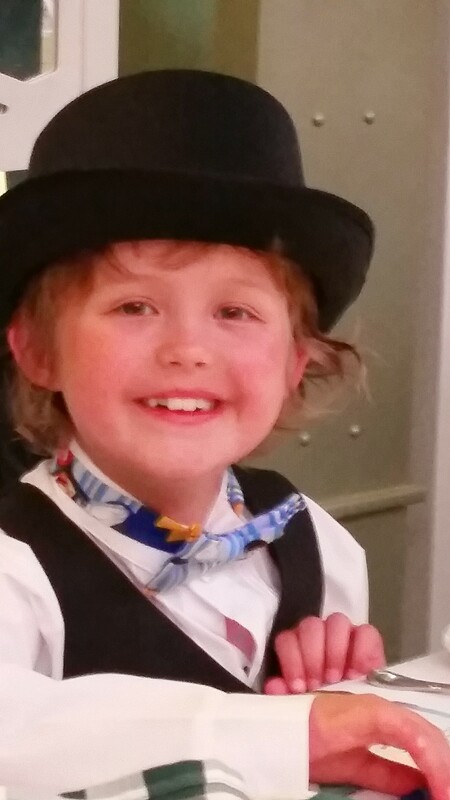 He grabbed Delaney’s top hat and it on for a pic. I feel like I am failing miserably in doing Make a Wish justice with this blog post and I know we’ll never be able to thank all of the generous people who helped make this trip of a lifetime possible, so I’ll just say thank you and end this with some fun Delaney photos from our trip. Just because it isn’t formal night doesn’t mean I can’t wear a bow tie! I Love Make A Wish!!!! There goes this soccer season! It’s been quite the month! We’ve had good, bad, and I somehow got more ugly. ” Impossible,” you say? Well you are correct. But about a month ago, I decided that I needed to go bald for a great cause again, and some very cool stuff happened. I signed up for St. Baldrick’s annual event where you shave your head while raising awareness and money for childhood cancer. Because I already blogged about it, I won’t go into full detail, but I just wanted to include a brief update. One of the members on our team, Brian, had almost his entire family join in (I say, “almost” because his wife Kerri wimped out. JK… love you Kerri!). 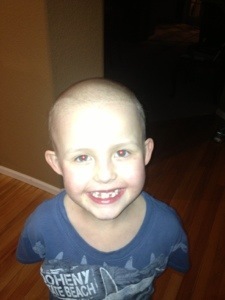 However, both his son Jake AND his daughter Hailee shaved their heads. Whereas someone’s first response could have been, “a girl shaving her head?” Hailee’s response was, “for kids with cancer? Yes!” Where this really got interesting was right after Hailee shaved her head in show of support for our Delaney, another girl of about the same age shaved her head for her friend Delaney. The only difference was that little girl got banned from her school because her new bald head violated the school's dress code policy. 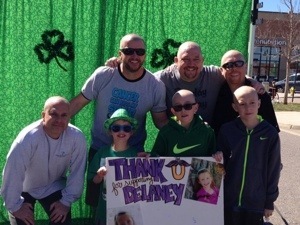 Of course this made news, both local and national, that a girl who shaved her head for her friend Delaney with cancer. It was a different Delaney, but we started getting calls to the affect of, "I saw your daughter on the news." Anyway, thanks to that little girl that shaved her head for that Delaney, Hailee and Jake who shaved their heads for our Delaney, to those that donated, and everyone else that showed their support and helped make us the Number 1 team at the event that day (raising over $2,000 for St. Baldrick’s). 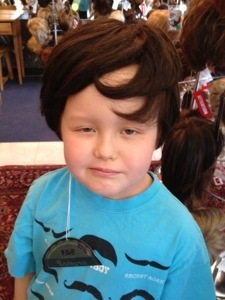 From Bald to… Worst. Dad. Ever. Last Saturday was one of those Colorado days where God himself seemed to scream, “Get out and enjoy this beautiful day I have made!!! !” So we did. Delaney and I played some baseball. Let me tell you, that little goofball has got an arm on her and I am really hoping to get her to try softball this year. Anyway, we took a break from baseball for the sweet sound of the ice cream man’s truck. When we adjourned, we swapped baseball for the trampoline. “Hey chubs, see if you can bounce me so high that you break my ankle!” is what I could swear that I heard when she actually said, “bounce me daddy!” Yeah… Long story short, Delaney is sporting a pretty cool cast after her fun on the trampoline with dear old dad. Before you file a CPS report, the doctor explained that the steroids she has to take make her neutropenic which makes her bones brittle. The fear is that if there is any damage done to her growth plate that it could stunt her growth and that being neutropenic would delay any recovery. So of course, all of this is really slowing Delaney down… yeah right! When her mom took her back to school that day, she was so excited to show her friends her new cast that she ran into her classroom. Neutropenic brittle bones or not, there is no slowing Delaney down! One year ago today. There are parts of that day that I can remember like it was yesterday. More than anything, I remember feeling helpless as a father and as a husband. My wife had just received the call that we had been waiting for that would let us know our daughter Delaney’s lab results. A little swelling below the ear couldn’t be serious, right? I watched anxiously as she moved from the kitchen to the study to take the call away from the kids. I held my breath as my wife tried to keep her composure while listening to our primary doctor. With one last “okay, thank you” she hung up and then told me that we needed to immediately get Delaney to the emergency room where they had a room waiting for us. As our doctor said, “Now is the time to call on any support you might have as we think your daughter has a type of blood cancer called leukemia.” The world briefly stopped while my wife and I collapsed into each other. We just held each other and cried. I was quickly a scared man who was powerless to protect his own family. In the beginning, the not knowing was the worst. Will she be okay during the surgery to put a port into her chest? What about during her first chemotherapy treatment? What type of leukemia does she have? Are you sure she is even sick? What is the survival rate? What are the chances of our daughter… not surviving? When will we be able to leave the hospital? When, if ever, will our lives get back to “normal”? Are we going to be able to care for her at home? When will her hair start falling out? 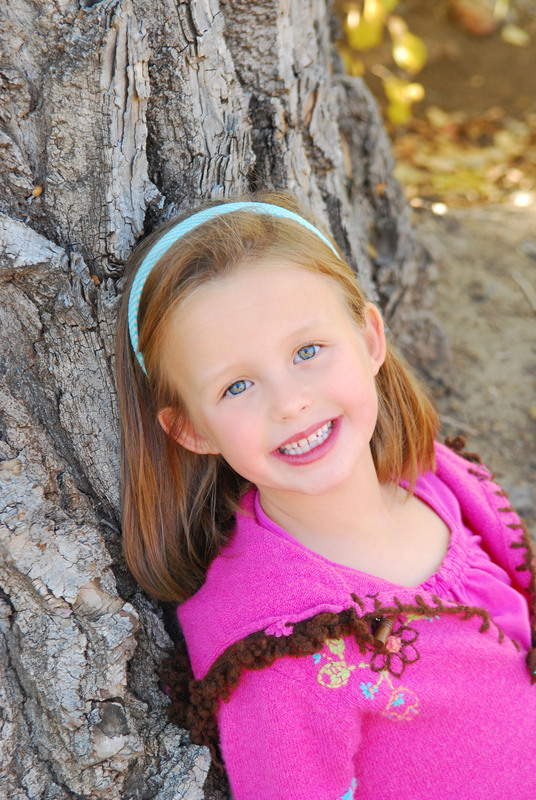 Will she be able to finish up kindergarten with her friends at school? How will we be able to continue working? It was tough. Eventually we got answers to most of our questions. It was still the uncertainty that ate at me. I remember putting on a brave face when having to face people for the first time because I knew that I was going to have to talk about it. When I returned to work, I purposely wore a hooded jacket. There were times when all I could do was sit at my desk and weep like a baby. I tried unsuccessfully to distract myself with my work. When it got too bad, I would put on my hood to block my face so others wouldn’t know. I know one of my co-workers knew but his father had his own battle with cancer so he could at least kind of empathize with me. 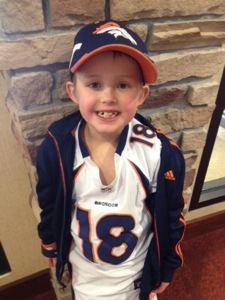 ~~~It may have been tough, but this little stud is tougher! ~~~Ahhh… the silly mustache. Who knew that it would inspire the “Cancer can kiss my stache!” movement? But more than that, was the overwhelming kindness, love, and support. It came (and still comes) from family, friends, co-workers, churches, entire schools, complete strangers, and just about every place imaginable. Just this past Sunday our doorbell rang. There stood the sweet neighbohood boy with his familiar bag of cookies and the money he made from selling them door to door. 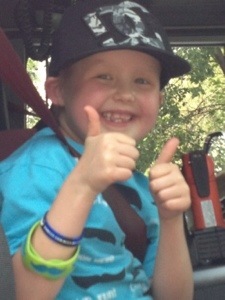 It has been a year and this boy still goes door to door to raise money to give to Delaney! Seriously if anyone knows of an award that we can nominate him for or some other way we could publicly recognize him, please let us know. My wife and I probably shed more tears from just being amazed over, and over, and over again at people’s kindness than we have with the actual cancer. Okay, maybe not… but it feels like it. As for Delaney, she just took it all in stride like the little trooper she is. Back to the doctor’s office? Okay. I’ve got to get treatment today? Do you think the nurses will sing “Dynamite” to me? My hair will start to fall out? Maybe I can get a cool Bronco’s hat! 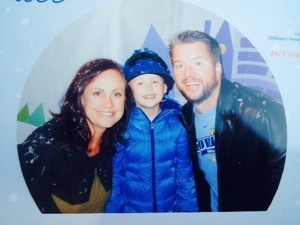 Sure she got sick of the pokes, the treatments, not being able to participate in so many fun things because her counts were too low or she wasn’t feeling well enough, and all the other junk that goes along with childhood cancer, but there were very, very few times she really let it get to her. I can probably count on one hand how many times she ever felt sorry for herself. ~~~Proving that bald really is beautiful! Of course, the one time that she really let it get to her broke my heart so much that I probably will never forget it. It was April 26th of last year (okay… I’ll admit that I only remember the date because it was our anniversary). Delaney had the moon face thanks to the steroids she was taking. Her once skinny little 40 lb. frame had gained 10 lbs. in just over a month. It looked like it was all in her cheeks, but by no means was it a cute “chubby cheek” type of thing. She didn’t feel well, and the steroids were running rampant on her emotions, and she just lost it. “Why mommy? Why? I just want to be beautiful and feel like the other little girls,” she cried. Besides trying to reassure her that she IS beautiful, what do you say? ~~~She may have had “moon face,” but she will always be beautiful! There were other things that may have bugged her, but really bugged my wife and me. The kids at school, not necessarily being mean, but just being kids, asking her why she is trying to use the girl’s bathroom. The little girl at church trying to argue with the teacher when he announced that another girl was joining the class. 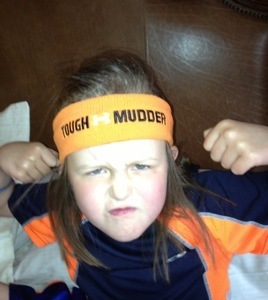 Of course, it doesn’t help that our daughter is such a little tomboy. I was asked not too long ago if it bugged us, why not dress her up in pink so people would know she is a girl? Most of you are parents, think about it for yourself. Do you want your kids to be themselves or pretend to be something they are not to please others? We want all of our kids to have the courage to be themselves. So we would never force our daughter, who answers the nurses question of “Do you have any allergies?” with “Yes. The color pink” to pretend to be something she is not. Would being decked out in a pink pretty dress with a big bow on her head help people recognize that she is a girl? Probably. And then Delaney is no longer her silly quarky blue loving, bow tie wearing, what little hair I have I am going to put into a mohawk, mustached self and cancer wins… and that will NEVER happen! ~~~Hmmm… maybe if she wore a nice Justin Beaver wig people could tell she is a girl. Doesn’t she look excited by this? At one point I was hoping to put our whole Non-Adventure into a book, but realistically that will probably never happen (although it would probably be the first book with negative sales). 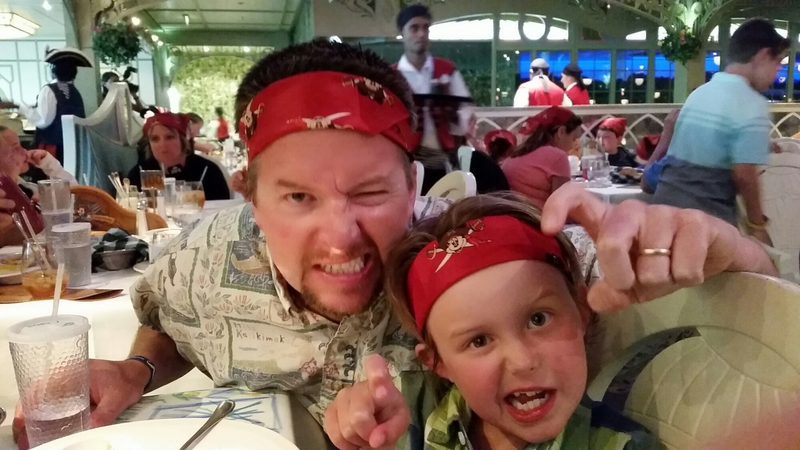 But in the longshot that some other parents might come across this who have their own child with a recent similar diagnosis, I’ll share two very valuable lessons that we have learned this past year. The first is to realize that your child is going to react to whatever you react to and in a very similar fashion. Fortunately, we learned this very quickly. On that early evening a year ago as we headed to the hospital we couldn’t stop our tears. So what did Delaney do? She cried. We were scared and so was she. We quickly realized that the opposite was also true. If we were brave and confident she was going to be okay, so was she. That first week in the hospital we had times that we were so overcomed with emotion and we would just walk out of the room so she wouldn’t see mommy or daddy crying. Realize that your child and their classmates or friends might associate the word “cancer” with death. We literally when into her classroom and told them, “Just because Johnny’s grandpa died of cancer, does not mean Delaney is going to die of cancer.” Along with explaining how there are different types of cancer, we also explained that, “Yes, she is sick. But, NO, you cannot catch it.” We didn’t want her classmates to be afraid to play with her because they were afraid to catch what she had. And thank God, they didn’t. Her class embraced her and continued to love her. They knew that she wouldn’t be able to be in class all the time, but when she was able to make it, she was just another crazy kid who they played with and had fun with. They also knew that when her hair started falling out, it was a sign that “the medicine was working.” The hospital staff shared that one with us and we thought it was good. ~~~Who are you calling crazzzzy???? The second thing I would share with other parents who have a child facing a similar illness is a little more personal, but because of its importance, I’ll share it openly anyway. Cancer is very tough on a marriage. Whatever stress you had in your marriage prior to the diagnosis is still there, but now you have a whole lot more of it. Early on, after continually snapping at each other, my wife and I had a conversation where we said, “We are going to need to be more forgiving with each other than ever.” Is my wife perfect? No. Am I perfect? Yes! I am kidding, of course, but we should have set a daily reminder that forgiveness was now, more than ever,a necessity if we wanted our marriage to survive this. There were times, like most marriages, where we just wanted to throw in the towel. But then there was the realization of, “And how would that help?” Delaney is one of our four daughters. She isn’t the only one affected by cancer and my wife and I definitely are not the only ones. 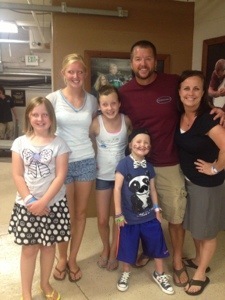 Our entire family has faced Delaney’s cancer together, and as a family we will continue to fight it together. ~~~A family that goofs together, stays together! So Delaney is now 365 days into her cancer treatment and has over 500 days remaining. WE have reached the “new normal” that one of the doctors told us about early on. We are slightly more, but still far from totally, comfortable on a daily basis. Delaney has missed 3 of the past 4 weeks of school because thanks to low counts, her body can’t fight a basic cold. She has these weird pains in her foot and there is a real fear that the steroids are causing necrosis, which essentially destroys the bones. At least week’s doctor’s visit due to foot pain, I was expecting to get an update from my wife. When it didn’t come… and still didn’t come… my mind went to, “What if they are saying they need to amputate?” Well, they didn’t need to amputate and as I was writing this my wife sent me a text that read, “They called with her infection test results. Low IGG level and 2 viruses.” I don’t even know what IGG is, but it might be how I feel about leukemia at this point… IGG!!!! Its Gotta Go!!! ~~~Maybe we would be protected if we could just stay in this snow globe! We know that God is still in control. These fears are of no value. We don’t let them control us by any means, but they are still there. We have been blessed by people all over the world praying for our daughter, and for us. Most of them will never see this, but I still want to thank them. The same with the kindness that has been shown over, and over, and over again. We will never be able to repay this, but we so appreciate every single bit of it. Thank you, thank you, THANK YOU from our entire family! 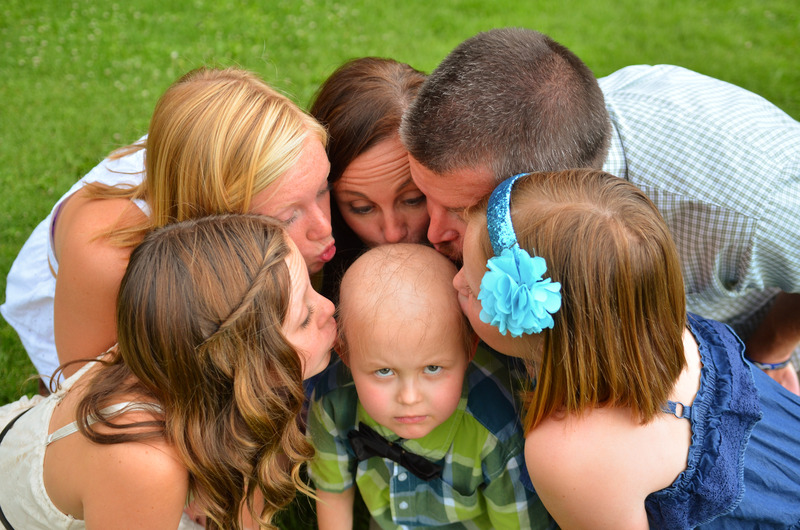 ~~~Cancer messed with the wrong family! For the most part, Delaney is doing great. She’s happy, she is going to school, and she is feeling well enough to fight with her older sister (dad’s non-medical gauge of how well she is feeling). So with that said, nothing to worry about, right??? I don’t really know, but I certainly hope so. Besides cold symptoms that she hasn’t been able to shake so they have been able to linger for about a month, she keeps having a weird foot pain. The “weird” part is that I have no idea whether it is related to all the drugs she is taking, or if it is related to her doing a silly Russian dance where she combines Baryshnikov with River Dance. The same with the cold… is it just a cold (that a lot of kids have right now), or is it something worse related to her leukemia. What I can’t seem to shake from the back of my mind is “Uh oh.. you are feeling safe again.” Every time we get comfortable with where she is in her treatment and how everything is going, we get thrown a curveball. The persistent fear is just all part of the cancer fun. On a different note, Delaney asked us recently how long she has been in treatment. Next month will actually be one year, almost 15% of her young life. As much as she is over it, she knows she still has a long way to go. She has a very matter-of-fact approach and just takes it day by day (she just told me, “Dad, it is Sunday, I need to take my Septra AND 6MP). She doesn’t do the whole, “Woe is me” Eeyore thing. Quite the opposite, she finds the joy and fun in almost everything she does, and right now is just excited that her Broncos are going to the Super Bowl! 2013 has been quite the year for the old Stafford clan. Sure we had all the usual: Delaney (7) is still playing soccer and even started playing hoops for the first time. Ashley (10) also played soccer again and was even elected mayor for her 5th grade field trip to Young Ameritowne. Mackenzie (12), is still a dancing fool and enjoys participating in her middle school’s daily video news program. Emily (19) dropped out of college, started experimenting with drugs, and is now somewhere in Borneo trying to find herself. Okay, not really, but I just had to see if anyone actually reads these things. Emily is still doing great in school, playing on her college volleyball team, and is getting ready to leave for a semester abroad in Leiden, the Netherlands right after the New Year. 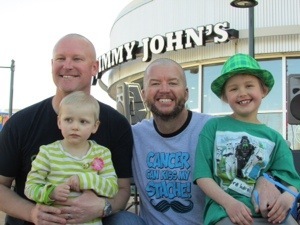 Besides all the usual, for us 2013 will always be remembered as the year our daughter Delaney was diagnosed with cancer (specifically Acute Lymphoblastic Leukemia). With what has felt like some sort of terrible curse has also brought us tremendous blessings and our family is so grateful for all of you that played a part in those. We have met so many nice people. We have had complete strangers show love to our family. We have been the recipients of meals, gifts, cards, prayers, and so much more. We had what felt like entire schools show us support and kindness. We’ve had hair, been bald, and grew hair back again. 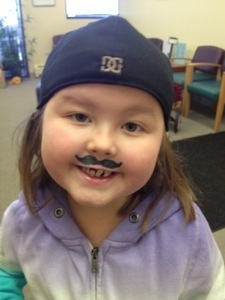 Delaney is doing great and her spunky self has inspired an entire “Cancer Can Kiss My Stache!” movement. I know that for some of you this is the first time you are hearing about this so if you want to learn more about our journey with that specifically you can go to her blog (www.nomoreadventures.com) or to her Facebook page (www.facebook.com/cancercankissmystache). If anything our trials have reminded us that God is good… all the time. May HE bless you and yours as you prepare for the celebration of the birth of the Lord and Savior Jesus Christ. Delaney, Ashley, Mackenzie, Emily, Stacey, and Tom Stafford. I thought it was a one time thing, so I made a joke that (like almost all of my jokes) wasn’t funny. Some kid at Delaney’s school made a comment asking why was she in the girl’s bathroom, wasn’t she a boy? I told her if that happens again, she should just kick that girl in the nuts (and for the 1000th time, I lost any chance I had at winning the “Father of the Year” award). Unfortunately, it did happen again… and again. It wasn’t just kids in her grade, as some of the older kids started chiming in. Delaney isn’t one to complain so we didn’t know that she no longer wanted to use the bathroom at her own school. She would basically try to “hold it” while she was at school. After she was unsuccessful, she went from not wanting to go to the bathroom at school, to not wanting to go to school period. This is a kid that loves school so much that when she can’t go due to low cell counts, she is almost in tears. Now, even though she was feeling fine, she was in tears about the thought of having to go school. As parents, this broke our hearts. Well Mama Bear went down to the school and put an end to that. We are fortunate that Delaney goes to school that is very supportive of her needs (and us). They came up with a solution that works for everyone. She now is allowed to go up to the front office and use their bathroom whenever she needs to. That was over a week ago, and this past week Delaney was back to loving being able to be at school. We ended that week by going to a place that doesn’t care about if you have hair or not, in fact they are trying to put an end to hair loss due to blood related cancers. It was the Leukemia and Lymphoma Society’s Team in Training kick off party and Delaney was chosen to be an honored hero for the team. As it frequently happens on this cancer ride, I also got another big dose of perspective. While I was feeling down about Delaney’s week, I saw that my friend Desiree was also at the kick off party. She was there to support the leukemia and lymphoma society and besides her warm smile, she was also wearing a pin with the picture of her beautiful baby Melina who lost the battle to leukemia. Desiree is not going to stop supporting until no more parents need to worry about losing their children to cancer. Maybe our week wasn’t so bad afterall. Are you smarter than a kindergartner? We’re already three months along on this little cancer journey, woohoo! For all you math nerds, that means Delaney is hopefully 1/9th of the way through the treatment. For you baseball geeks, this means your kids would have already had a cotton candy, a hot dog that they conveniently used to wipe the ketchup onto their shirt, a snow cone because they remembered that when they said a cotton candy, they really meant a snow cone, gone potty four times, and would have asked about 132 times, “Can we go home now?” (it would only be the end of the first inning after all). Probably 50-65%- Approximately how much of her hair she has lost. However, because it is long, when you see her with a hat or brushed a certain way, it still looks like she has most of it. About 1 billion- Number of prayers said all over the world for Delaney. A ton- How many really nice people and new friends we have met on this little (non) adventure and we are so grateful for all of you!!! 0- How many kindergartners we now have in our house. That’s right, Delaney is officially done and done with kindergarten. It seems like it was only a few weeks ago that we were standing in the classroom with the other parents hearing about what our kids were going to learn in the upcoming school year. We blinked, and we were with those same parents at the equivalent of the graduation for our kids. Before I get into the graduation, let me back up a few days. Last Saturday night, we were invited to a BBQ at the family of the boy that is a friend’s (NOT boyfriend) house. The subject of their graduation came up and what kids were going to wear. Delaney immediately went on and on about how she wanted her nails painted pink to match her pink frilly gown (yeah right… But just checking to see if anyone actually reads this). Actually, it was more like, “oooohhh… Maybe I could wear a tuxedo and a top hat!” As she was trying to rope her buddy Jacob R. into joining her, we were all envisioning Dumb and Dumber. Sunday: the whole making the graduation thing was in doubt when she spiked a fever of 101.5. The doc gave us the option of bringing her in right away or letting her sleep on it and seeing how she was in the morning. We opted for the latter and were pleased to find her fever gone on Monday: game on! Mom scrambled to find her something to wear and even got her a new shirt and pants for the occasion. As much as Delaney liked her new duds, she was very concerned because they couldn’t find a bow tie. The night before the graduation: Ding Dong. Who could that be? 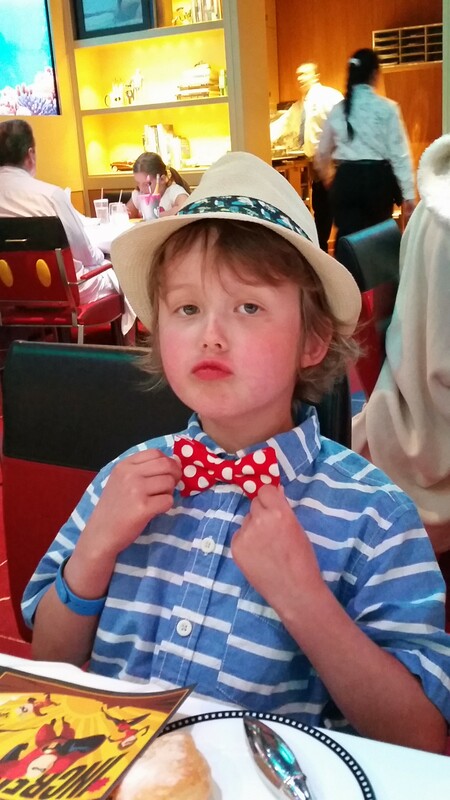 Only Jacob R’s mom to the rescue with an Emergency Bow Tie that Delaney could call her very own. Delaney was elated! The actual graduation was awesome. All the kids were so cute. They were singing songs, telling the audience what they were going to do for a living, and sharing what they learned in Kindergarten. At one point Delaney’s friend Macayla stood up and said, “we learned about leukemia, made Delaney bracelets, and learned that…” At this point the rest of the class stood up with her and they all shouted, “CANCER CAN KISS MY STACHE!! !” What was really cute was that they all secretly had mustaches drawn on their fingers and put them over their mouths when they shouted it. If that wasn’t sweet enough, they then all broke into a song. We could tell Delaney didn’t know the song by the way she was shrugging her shoulders and lifting her hands as if to say to us, “I didn’t learn this one!” We quickly realized that they were surprising her with a song, “Delaney we love youuu!! !” before presenting her with a teddy bear. My wife just about lost it because she was so moved by how touching it was of all these sweet little kids. I know that I keep saying it, but we have been blessed beyond belief. We hope everyone has a great Summer and we’ll keep you updated on Delaney and her (non) adventures. 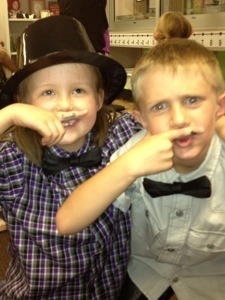 I’ll leave you with a pic of Delaney and her buddy Jacob R. in their matching Emergency Bow Ties (oh yeah… I forgot to mention that Delaney’s teacher even had a top hat that she allowed Delaney to wear for the big day). Jim Carrey and Jeff Daniels have nothing on these two! Because we are just so DARN close!